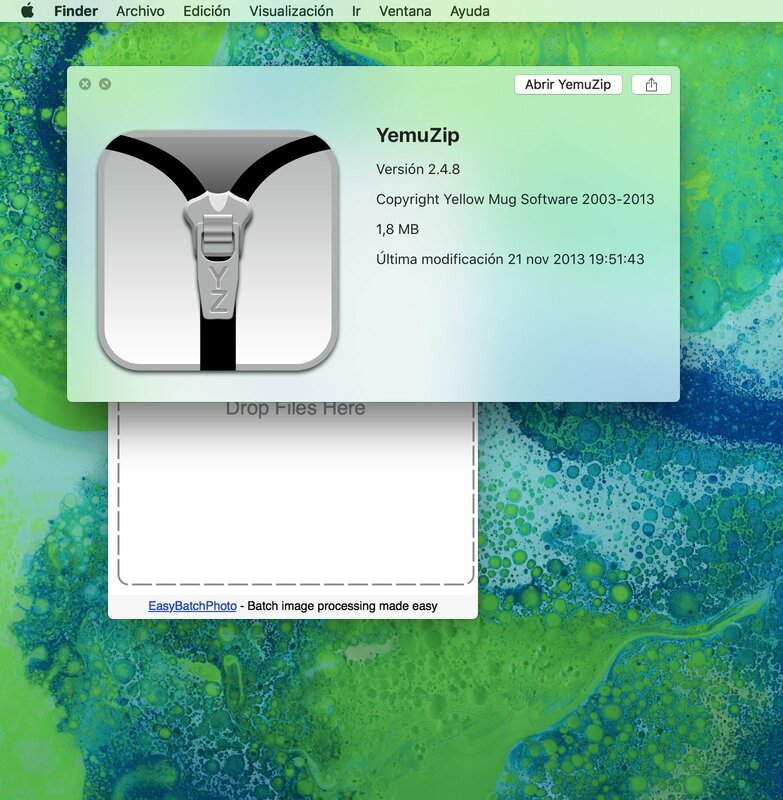 If you're looking for a tool that simplifies the task of compressing files, YemuZip is the most appropriate one. 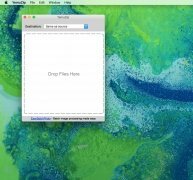 With this simple application, you'll only have to drag and drop the file to compress it in ZIP format. 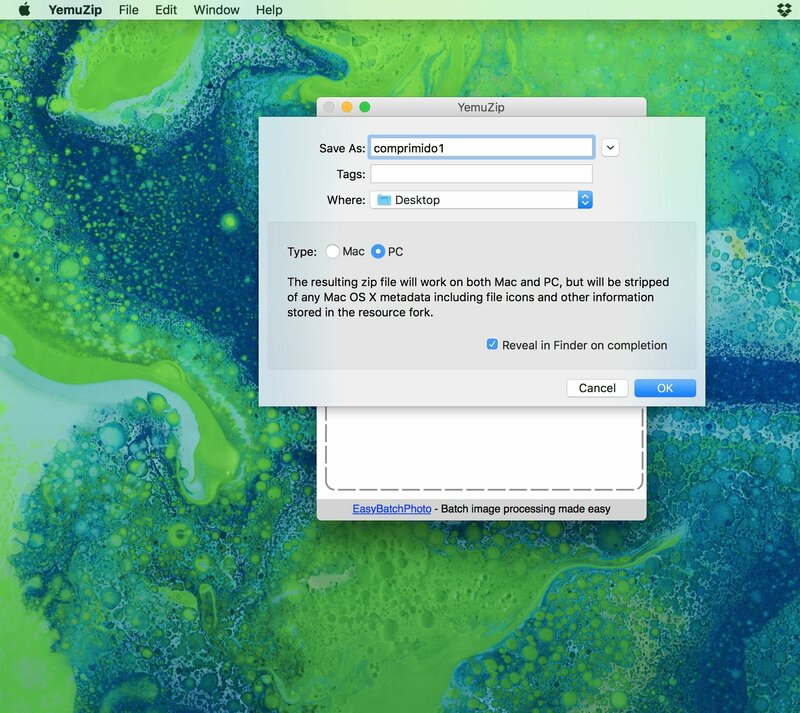 This compression format is compatible with Windows, Mac, and Linux, therefore, you can share your files with any operating system. 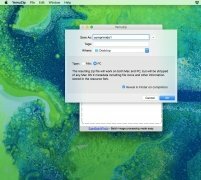 It's one of the best alternatives of this kind that we can download for macOS. 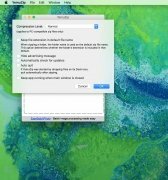 You can easily configure the file to contain the metadata generated by the operating system if you're only going to use it between Mac computers, or for them to be removed when using them on other PCs. 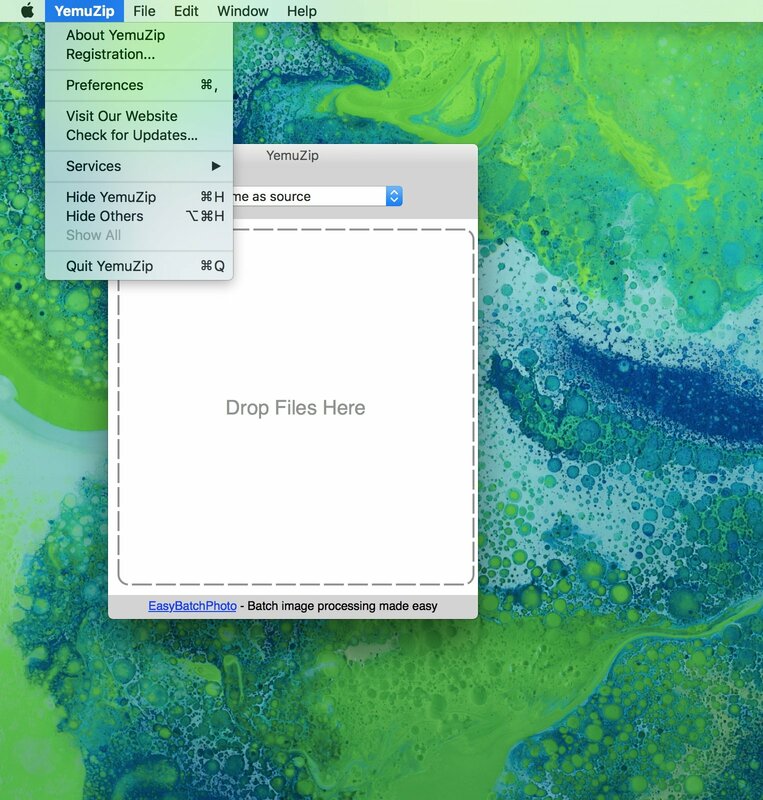 When you drop a file on the application's interface, you'll be able to choose the folder to store the zipped file, its name and whether to remove metadata or not. 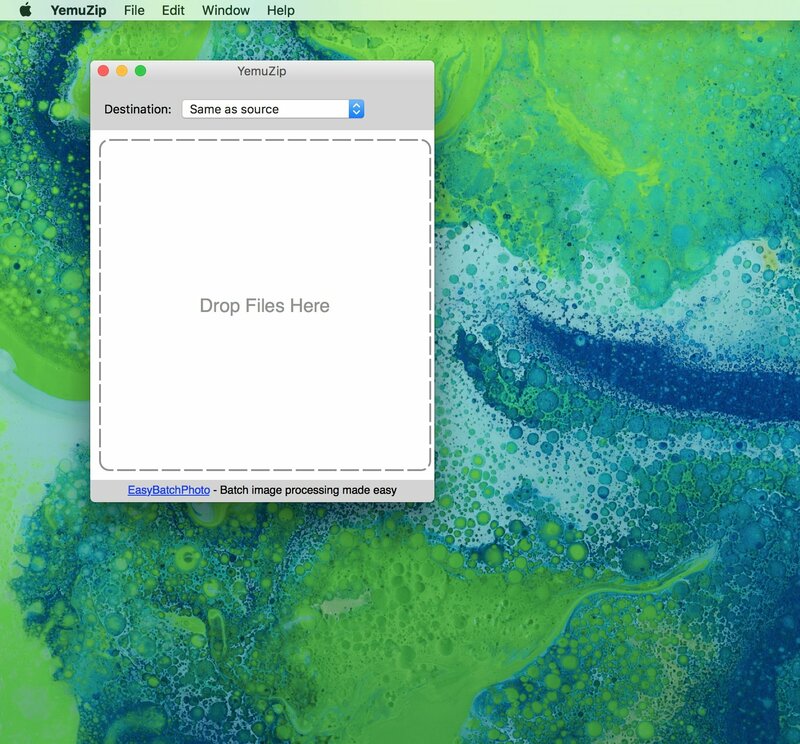 Once this has been done, you'll have your file compressed in the folder of your choice. 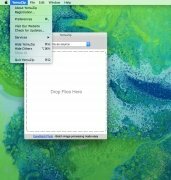 Choose the folder to store the final file. The application is free and very lightweight. 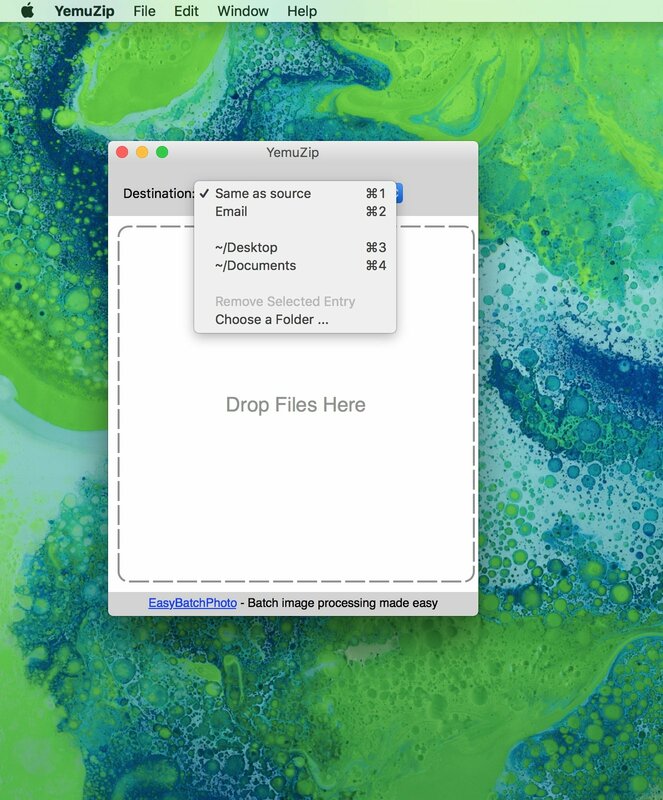 If you're not too keen on the native compression on macOS, this is a great solution to be able to share files without them occupying too much space. The results offered a quite good: it manages space well and compresses rapidly. 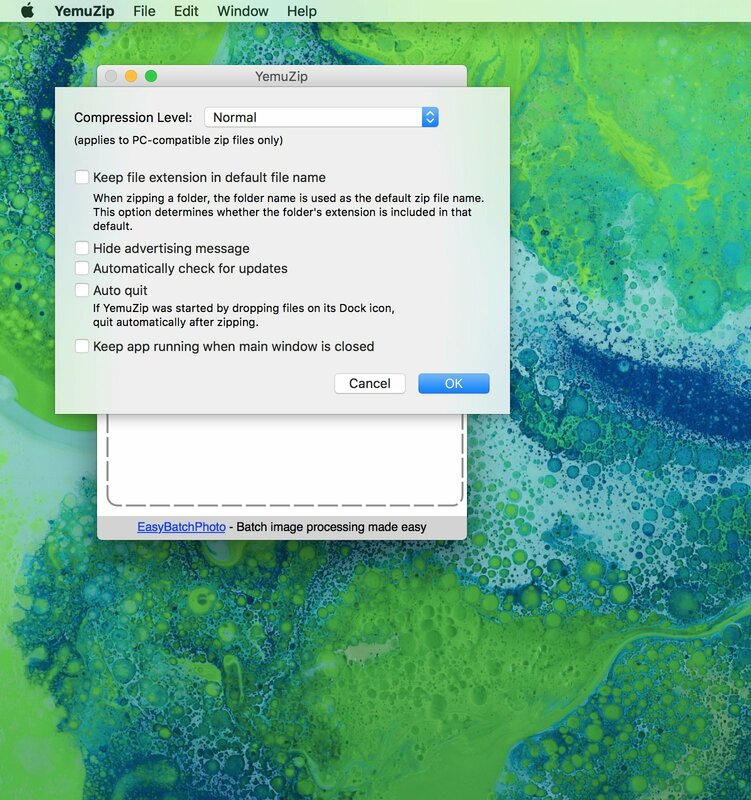 The fact that it's compatible with PC makes it a really recommendable option for our Mac. Requires macOS 10.9 Mavericks or above.